Jobs for high school students are no longer limited to babysitting and dog walking. With the technology of 2018, comes a myriad of opportunities for younger generations to shine. Our generation has the advantage of growing up with the internet in our hands, so why not put that power to use and make a few bucks? The Internet is the perfect place to expose yourself to the workforce. Starting your career path as a student provides not only an early start to make your own money, but also great work experience for years to come. Here is a list of five technology-based jobs that are perfect for the 2018 teen. One element that even some of the top companies are missing is a social media base. This is because generations of employees at these companies did not grow up with this business weapon in their hands the way we have. Therefore, many companies value the social media skills of the youth and would love to have someone to get their name out there on the world wide web. Once you learn how to properly use social media for promotional purposes, you’ll be valued greatly by many companies. If you’re the artsy type, this job is perfect for you. Etsy is the perfect base to sell any crafts, from clothing to artwork, and jewelry to furniture, to just about anything vintage. Right from your own home, you can get your products selling on Etsy. You’d be surprised; many of the most valued items are homemade! Being able to use a computer is not only important for business purposes, but also for everyday life activities. 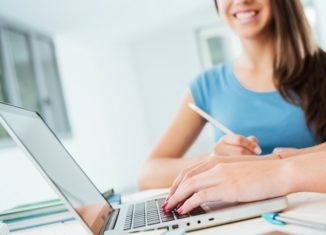 There are many people out there who are yearning to become computer experts, so why not share the skill? Whether it be for themselves or for their young children, adults and older generations crave the knowledge of using a computer. The computer skills of teenagers are proving to be extremely valuable. eBay is the perfect place to get rid of old items that you no longer find useful anymore. Selling items through eBay doesn’t take much work at all, and you can make a ton of money from doing it right from your own home! If you have credibility in a certain area and are a social media rockstar, influencing products is the perfect job for you. Companies love to pair up with those who are able to get their product out in the public eye by sponsoring it on their social media sites. Influencers are skyrocketing in today’s social media-obsessed society. Growing up surrounded by technology is a blessing in disguise. Teenagers are becoming highly valued in the workforce and are exposed to experiences that have never been available before. With technology dominating everyday society, the job opportunities for teenagers are endless!